Features & Benefits Part F compliant, System 3 Continuous mechanical extract. SAP Appendix Q eligible - Low SFP on SAP Q. Quietest dMEV available. Discreet, tasteful styling. Single fan for use in all applications. IPX4 rated Constant volume option. Normal and Boost speeds. LoWatt motor offering 90% energy savings and long life. 5 Year Motor Guarantee Suitable for wall, ceiling, panel and window mounting. What is de-centralised MEV (dMEV) The Building Regulations Part F gives examples of four main methods of ventilation. 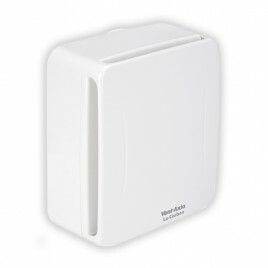 System 3, Continuous mechanical extract ventilation can be achieved using a single centralised extract unit such as the Sentinel Multivent ducted from ‘wet’ rooms (kitchen, bathroom, en-suite and WC) or by decentralised individual fans in the ‘wet’ rooms. The fans run continuously at near silent levels providing a simple and effective form of ventilation. The Centra meets the latest requirements of the Building Regulations Document F 2010 for wholehouse system ventilation. Selection of the two normal flow rates (6l/s or 9l/s) is via a simple ‘jumper’ on the control board. See individual models for further details. 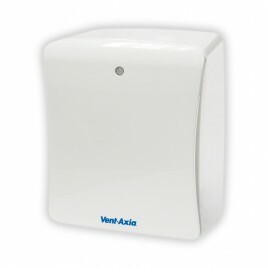 The attractive and discreet styling of the Vent- Axia Centra will complement the décor of any new home while virtually silent operation ensures optimum ventilation is achieved without intrusive noise. Building regulations (Document F) requirements. Low speed selectable between 6, 9 and 12l/s and high between 15, 30 and 60l/s all with through the wall or two ducted selections to ensure installed performance is met. Low maintenance design The unique filterless design provides a maintenance free fan with the additional benefit of a cartridge system in the unlikely event of a motor failure. This ensures that it offers the easiest installation and replacement available. Less waste also means less landfill, improving the products carbon footprint and sustainability. Discreet With discrete aesthetics and low noise levels due to an accurately balanced impeller. it is also one of the most unobtrusive centrifugal kitchen fans available.